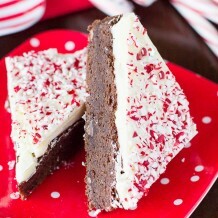 Chocolate and peppermint are one of my all time favorite holiday flavor combinations. 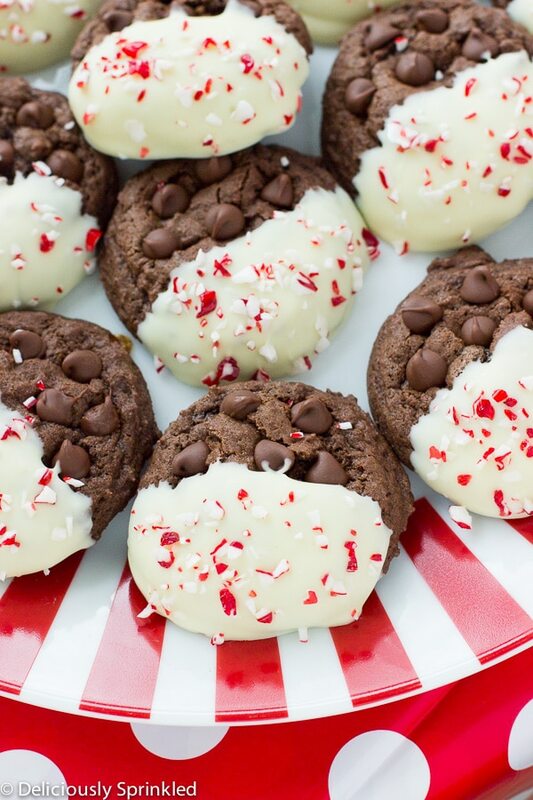 So with Christmas just around the corner, these Chocolate Peppermint Cookies are the perfect holiday dessert. To make these cookies I used my favorite Chocolate Chocolate Chip Cookie recipe, which as always is super simple to make. 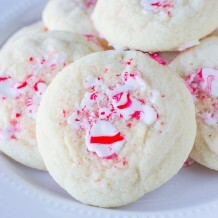 And to dress these cookies up for the holidays, I dipped them in white chocolate and SPRINKLED them with crushed candy canes. ✓ DON’T OVERMIX: With almost all my cookie recipes, I always make sure to remind you to not OVERMIX the cookie dough. 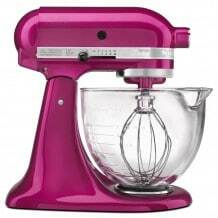 Meaning, when you mix the flour mixture into the wet ingredients, only mix them together until just combined…you should still see some flour in your mixing bowl. 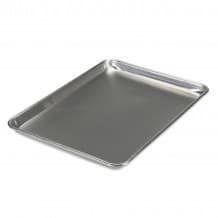 ✓ SCOOPING THE COOKIE DOUGH: I always use a 1 Tablespoon cookie scoop, each cookie dough ball has “2 scoops” of cookie dough, meaning that each cookie dough ball is 2 Tablespoons in size. In my opinion, this is the perfect sized cookie. If you don’t have a cookie scoop, you can use an ice cream scooper but you will only need 1 ice cream scoop of cookie dough. 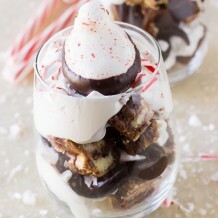 ✓ PEPPERMINT TOPPING: I used the Wilton Sprinkle Peppermint Crunch to top these cookies but you could also use regular candy canes and smash them up into little pieces. STEP 9: Place white chocolate baking bar in a microwave safe bowl. Microwave for 15 seconds, stirring until completely melted. 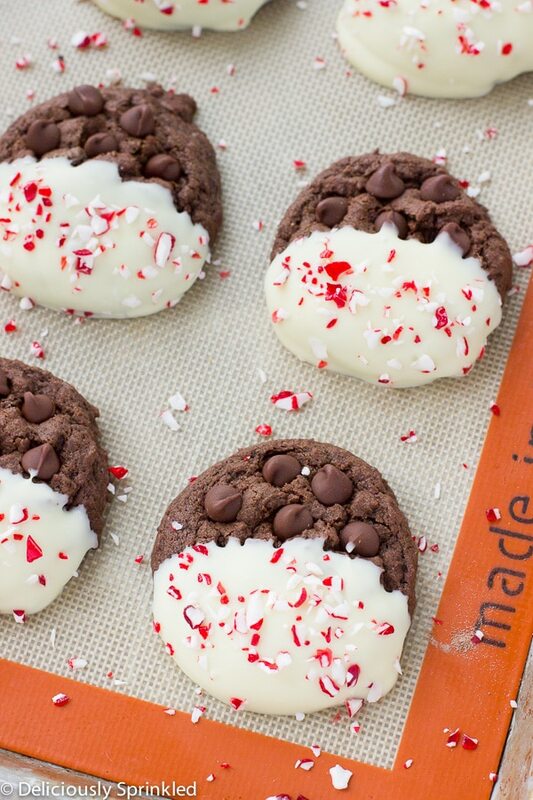 Dip each cookie halfway into the white chocolate and place onto baking sheet. 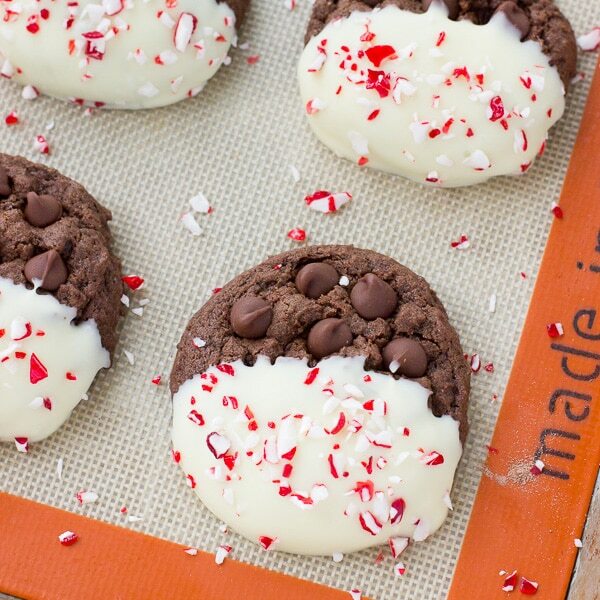 Sprinkle with crushed peppermint.